This exclusive Nablus and Jenin Tour will begin by having you picked up on time at the requested location, by a private air-conditioned executive vehicle and I will be honored to spend the day and share with you the reality of Palestine. Traveling north, we will pass and see the East Jerusalem neighborhoods of Shufat, Beit Hanina, Dahiyat al-Barid and continue driving along the east side of the Separation Wall to cross the Qalandia checkpoint and enter the West Bank (WB). Discussing how the Wall has dramatically affected the lives of the Palestinians and the overall current situation of Palestine, we will find ourselves in the center of Jenin. We will walk in the streets of the city and through the fruit and vegetable market. Moving along, we will partake in one of the highlights of my tours, experiencing while wondering how the residents of a refugee camp in the WB, are able to survive living under the hardest possible conditions. 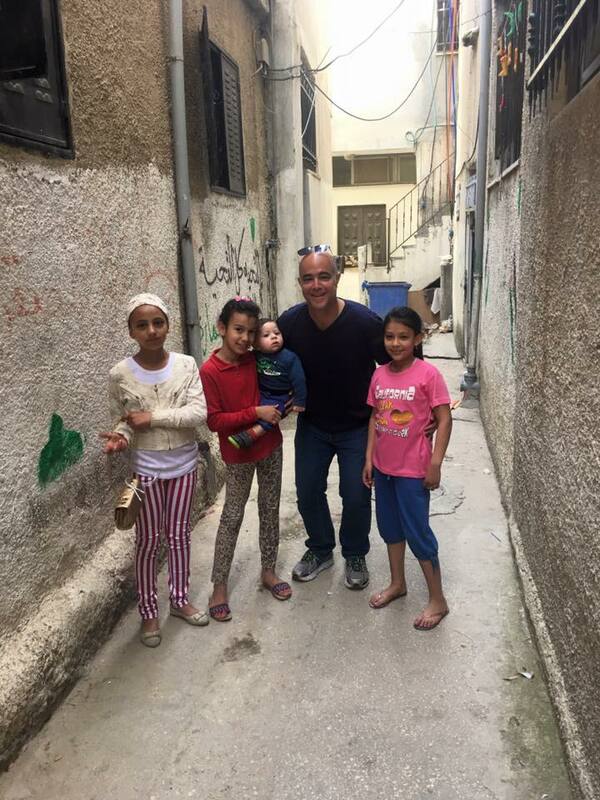 We will meet with residents of the camp and walk through the narrow streets and alleys, while learning of their origins and hearing stories of their life under occupation. Gaining memories to last a lifetime, you will also discover that the Palestinians are still optimistic about the future and continue to hope and pray for peace. After appreciating the “Freedom Theater” at the camp, we will drive to visit the third oldest Church in the world, the Church of Burqin. Visiting Sebastia, an ancient City of Samaria and one of the largest archeological sites in Palestine, we will meet the Samaritans and tour the visible remains of the Roman Tombs, Hellinistic Tower, Severan Basilica and the Herodian Gate Towers. Arriving in the center of Nablus, considered one of the biggest cities in the WB, we will walk in the streets and see the Minaret Square and Clock, still standing since the Turkish Era. Known for its’ culinary art, we will appreciate a traditional Palestinian lunch. Walking along in the Old City and Al Khan, we will witness the making and then gladly tasting of the most delicious Palestinian deserts. Through the narrow streets of the market, we will discover the ancient Mosques, Turkish Baths and olive oil soap workshops, while enjoying the aromas of Turkish coffee, roasted nuts and spices. We will then drive to the top of a steep mountain to visit the Sama Nablus Park and enjoy being on the northwestern part of Mt. Ebal, to appreciate a panoramic view of Nablus and Mt. Gerizim. We will end the tour by driving back to the initial agreed upon location, where you will be dropped off with a smile, having gained a raw and authentic lens of the difficult political and emotional terrain of Palestine and Israel.